All the above would be me!!! Love the picture and Happy Mother’s Day to you! Woo Hoo!!! I’m not the only one!!! Great picture of you, the kids and the kitchen. Well, my boys had leftover chocolate cake for breakfast. Not sure if that makes me a cool mom or a really bad one! 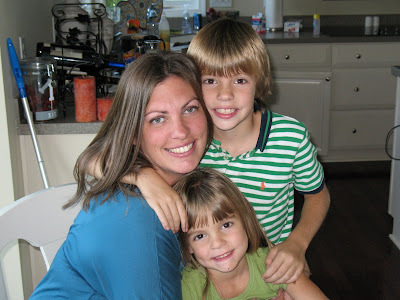 Happy Mother’s Day – your kids are precious! What a great looking mom and lovely children!! !